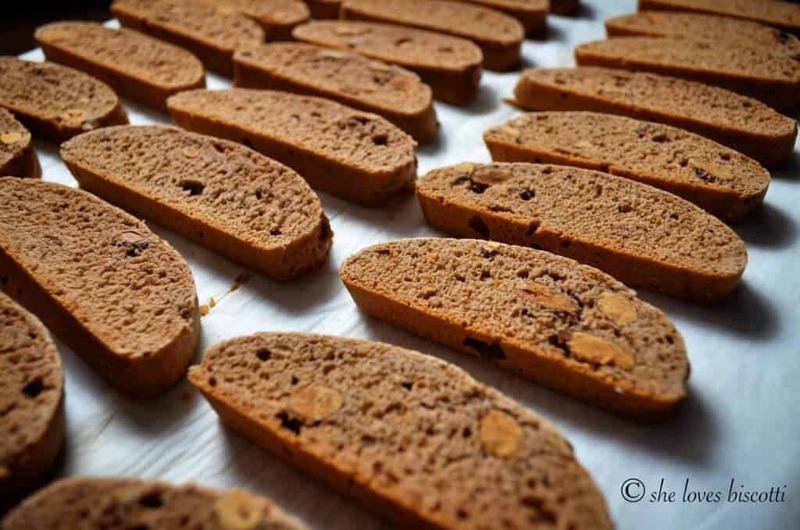 I realized it has been a while since I shared a biscotti recipe with all of you. Inconceivable, right? So here’s one of my favorite recipes that I think you will enjoy. 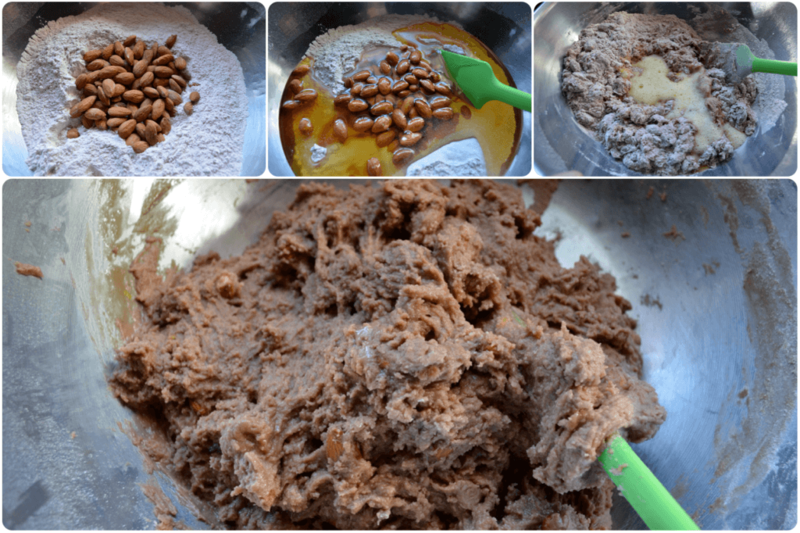 You probably would not be amazed if I told you that biscotti are one of my favorite types of cookies (given the name of this blog, I certainly hope no one would be surprised!) 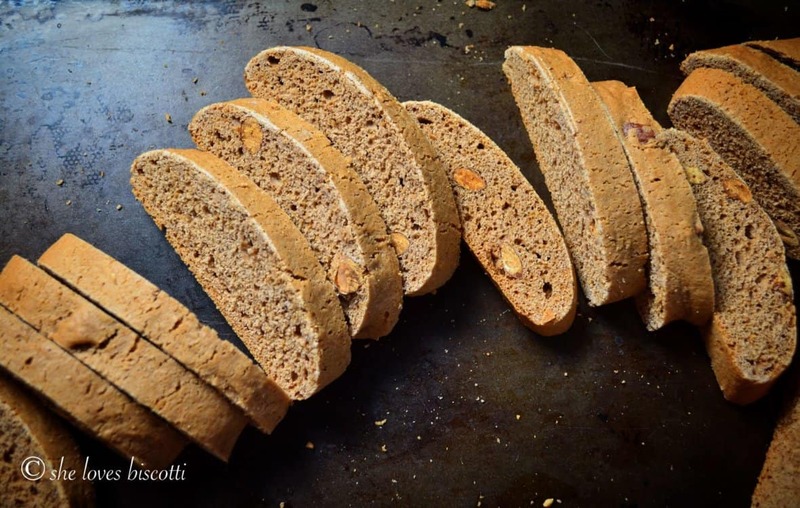 I love the simplicity and the infinite variations which are possible with biscotti. Take, for example, this particular recipe. I will usually start by placing the almonds in the oven to be roasted. While the nuts are getting nice and toasty, I sift all of my dry ingredients together in a very large bowl. Before I set it aside, I will make a well so that I can add the almonds when they are pulled from the oven. In a medium sized bowl, I whisk the eggs with the lemon zest. (At this point I will usually prepare my cookie sheets). The aroma of the roasted nuts will indicate that it is probably time to pull them out of the oven. I allow for them to cool off for about 5 minutes. I then add them to the well of the sifted dry ingredients, followed by the warm honey (I usually zap it in the microwave for about 15 seconds). With a large mixing spoon, I quickly fold the ingredients together. Finally, I add the beaten eggs. I work quickly as the mixture will get stiff as the honey cools off. Now it’s time to shape this mixture into logs. My method is definitely unconventional, but it works for me. I will use a large serving spoon to scoop out the dough and place it on the parchment lined cookie sheet. I will then add another scoop adjacent to the batter on the cookie sheet and keep going until I have formed my two logs. As far as the size of the log is concerned, you can make them as wide or as narrow as you want. I will usually make 3-3½ inch wide logs. Once I have placed the batter on the cookie sheets, I will gently “press” the dough mixture together with my damp fingers. Like I mentioned, unconventional and amateurish…but hey, it works! 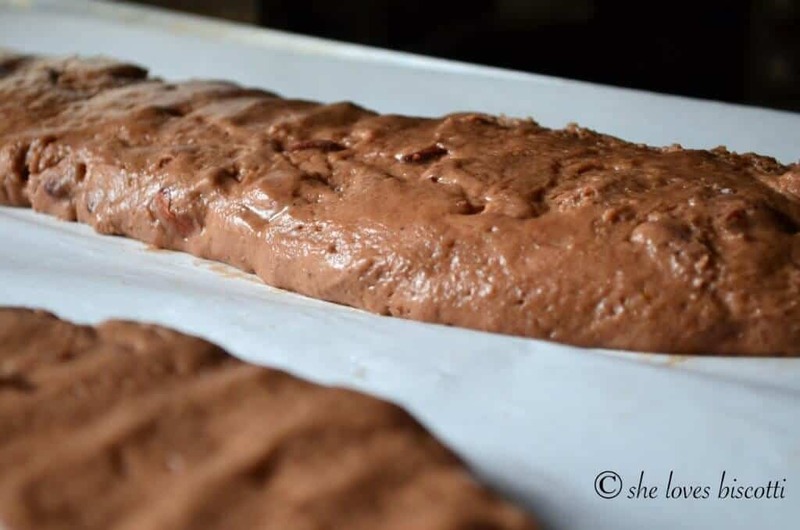 Place the biscotti in an oven which has been preheated to 325 ° F for about 30 – 35 minutes. I will gently press my index finger on the dough, if it springs back, they are done. Remove the cookie sheet from the oven and allow the biscotti to cool down. Transfer to cutting board and with a serrated knife cut the logs into ¼ – ½ inch slices (or as thick as you like). If you like a crunch to your biscotti, put them back in the oven for about 10 minutes. I prefer to have these biscotti without the second baking. Once again, you can decide based on your personal preferences. Ever since I can remember, my Zia Maria (one of my mom’s older sisters) would often drop off bags and bags of her homemade cookies at my parents’ home. These biscotti were, without a doubt, one of my favorites… actually, these Simple Classic Italian Honey Almond Biscotti were everyone’s favorite! 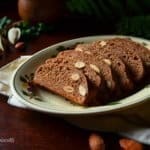 Looking back at my childhood, I can easily trace my love for biscotti to a couple of recipes and this particular recipe is a definite contender. I will forever be grateful to my Zia Maria’s generous sharing of cookies and for contributing to my biscotti obsession. 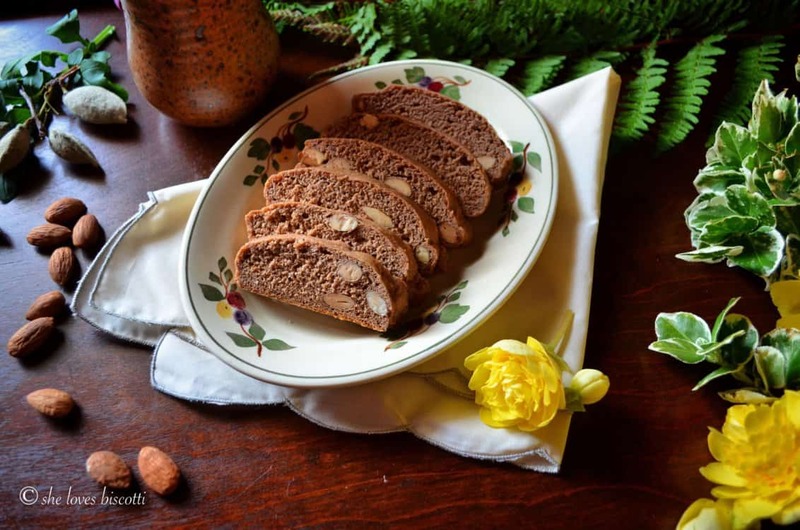 I hope you enjoy this recipe for these Simple Classic Italian Honey Almond Cocoa Biscotti as much as I do. They are easy to make and even easier to eat! In a large mixing bowl, sift dry ingredients together. 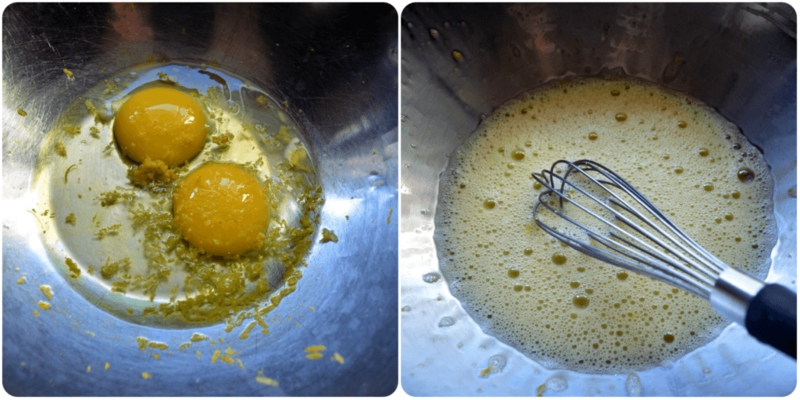 In a medium sized bowl, whisk the eggs with the lemon zest. Set aside for a minute. Add the almonds (still warm) in the well of the dry ingredients. With a large mixing spoon, quickly fold the ingredients together. Finally, add the beaten eggs and mix (work quickly as the mixture will get stiff as the honey cools off). Shape mixture into 2 logs (refer to explanation in text of article). Bake for approximately 30-35 minutes or until firm to the touch. 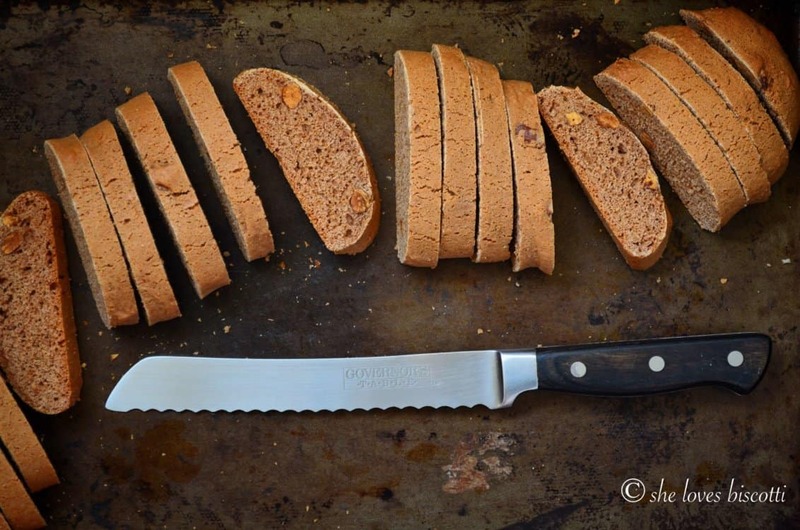 Using a serrated knife, slice cookies about ¼ – ½ inch thick (or whatever you prefer). Optional: Place slices on the baking sheets, and bake for about another 5-10 minutes (the longer they stay in the oven, the crispier they get). Brought your roasted banana bread loaf to my grand daughter. She loved it too. I still was in the baking mood, maybe because it is April fool and we had a snow storm this morning. I made your almond biscotti but had cashews instead. Very good. Thank you again. Great substitution Jane! Glad to hear the banana bread was a hit with your granddaughter. Gorgeous biscotti Maria! I like so much hearing about your family stories, thanks zia Maria for such a great recipe????. I love biscotti too, a lot ????. Pinned! 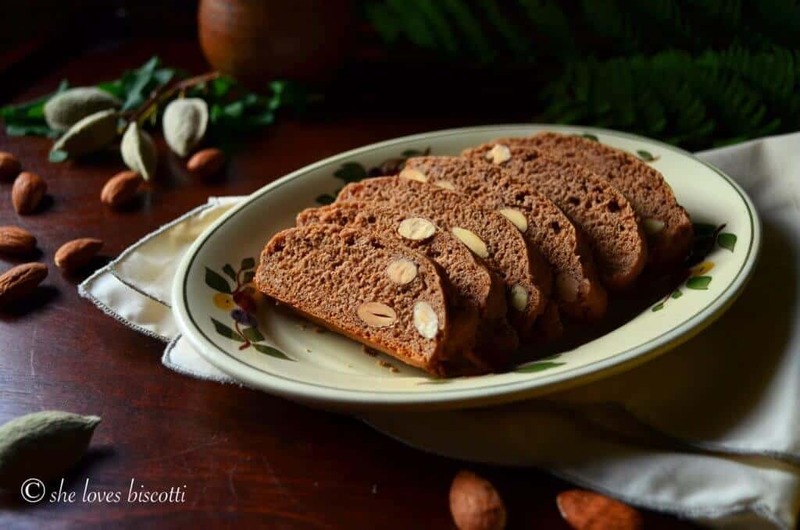 Yes, we are very grateful for Zia Maria 🙂 Ahh, biscotti …so hard to resist! Thanks for taking the time to comment! This is a new flavor combination that I’ve yet to try. I pinned this so I can convert it to gluten free soon. Can’t wait. Thanks. Yum! I pinned them to make later. Thanks for sharing! !